Relaxe e rejuvenesça em um ambiente tranquilo e privado. Este novo 3 quartos, 2 casa de banho completa, tem tudo que você quer e precisa em uma casa de férias. Um quarto principal com banheiro privativo, cozinha totalmente equipada com aparelhos de aço inoxidável e novas camas confortáveis. Depois de um dia cheio de aventuras no Alasca, é bom ir a uma casa particular e relaxar. Esta propriedade é de 10 minutos de tudo que você precisa, entretenimento, mercearias, restaurantes, caminhadas, trens e lagos. Longe das luzes da cidade, é um local perfeito para ver as luzes do norte (do outono à primavera). Este é um local perfeito para lançar suas férias no Alasca. Really glad we chose this house! The four of us (two couples) felt so at home in this house! Quiet, perfectly clean, well equipped & warm. We came during 0 degree weather to see the aurora borealis, & though the Kp index & clouds worked against us, we were able to see it a couple of times. This little house is perfect for aurora viewing. It is away from town lights & the views of the sky are expansive. The windows in the dining area & the first bedroom were good for viewing (too cold to go outside!). The kitchen worked well for us as we cooked two meals a day. We didn't find a vegetable parer, soup ladle or lid for the big pan (we used a cookie sheet) but everything is new & in good working order. The owner left goodies on the table (we don't drink wine but we do eat cookies! yum!) & a nice note. We didn't use them but there is a washer & dryer with detergent, etc. available. You will sleep like a baby because the sparsely populated neighborhood is super quiet & the beds are comfortable. 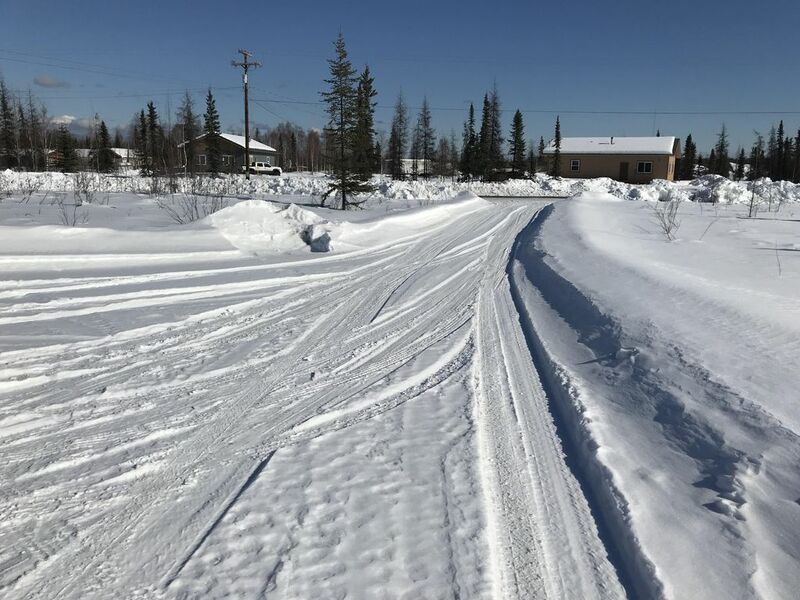 It is a short drive to either Fairbanks or North Pole (Santa Claus House!). I highly recommend a stay at the Iris House. The house was extremely clean and had all the needs you could want for your stay. New, neat and clean. The place had everything (but a hair dryer) that we needed. We would definitely come back when in the area. The Iris house was spacious, modern, and altogether lovely. The house is removed from other homes so very private and surrounded be fields of wild flowers. It only took took us 15 minutes to get into Fairbanks and it was wonderful to have so much space for our family. We felt relaxed and at home each time we opened the door! We would definitely return to this property.